From monster potholes that seemingly appear from nowhere to uneven train tracks that cause tires to slip, motorcyclists must be on constant guard for road hazards. While many road hazards pose little risk to heavy passenger vehicles and trucks, loose gravel or a pavement depression can spell disaster for a motorcycle rider, who can easily lose traction and crash. A number of road hazards and defects can compromise a biker’s stability, dramatically increasing the chances of a serious accident. Take, for example, a motorcyclist who loses control of his bike after hitting a piece of equipment that fell off a flatbed trailer. The road hazard accident results in a broken leg, a mountain of medical bills and nearly six months of lost income, not to mention the pain and suffering. In this case, the motorcyclist may be able to file a lawsuit against the driver of the truck, or the driver’s employer, if evidence shows the cargo was improperly secured or exceeded weight limitations. Unfortunately, motorcycle crashes caused by road hazards are alarmingly common. As an experienced motorcycle accident lawyer in Louisiana, Bart Bernard knows these crashes are associated with much higher death and catastrophic injury rates compared to vehicle collisions. Victims who suffer grave physical harm face the prospect of a long and expensive recovery process compounded by hospital expenses and lost earnings. Given the life-altering consequences of motorcycle accidents entailing prolonged hospitalization, extensive rehabilitation and even in-home modifications to account for permanent disability, it’s important to align yourself with a capable attorney. If you suffered motorcycle accident injuries caused by fallen debris, slick surfaces or other road hazards, you may have a viable claim for damages. Motorcycle accident attorney Bart Bernard can investigate the facts of your case, identify liable parties and fight for maximum compensation. Edge breaks – An edge break is characterized by two road lanes that are differing heights. A slight change in elevation is no problem for a car, but can prove deadly for a biker traveling at high speeds. Objects in the road – Tire treads, construction tools, furniture or other objects that fall off trucks are a dangerous obstacle for any motorcyclist who may be forced to swerve or break suddenly, losing control of their bike. Who is at fault for road hazards? Who is responsible for a motorcycle accident caused by a road hazard in Louisiana? The answer largely hinges on the type of road hazard that caused the accident, whether a public or private entity could have prevented the hazard from existing, and the actions of the motorcyclist at the time of the crash. If the motorcyclist was speeding or driving while impaired, they may be partly at fault, and have limited chances at a legal recovery. If, however, the county, city or state authority that maintains the freeway or road was negligent in failing to address a known danger or obstacle, victims may have the opportunity to file a civil claim. Establishing liability in these kinds of accidents is no simple task, and is best left to a skilled legal professional who can marshal evidence that proves negligence on the part of another party, whether a public agency, a private business or a commercial trucking company. 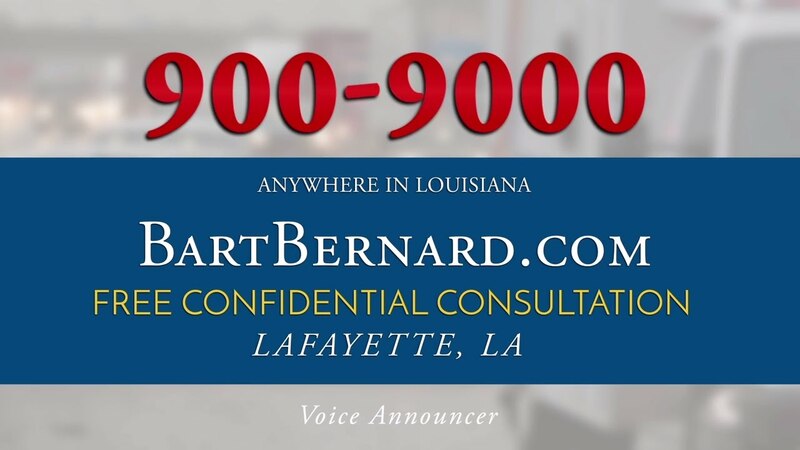 At The Personal Injury Law Firm of Bart Bernard, we represent victims of motorcycle accidents in Lafayette, Baton Rouge and Lake Charles, Louisiana. Whether your motorcycle crash was caused by a road hazard or a negligent driver, attorney Bart Bernard can help you fight for the compensation you rightfully deserve. As a veteran personal injury lawyer with more than 20 years of experience winning complex cases for high monetary awards, Bart Bernard has the resources and expertise to go to bat for you. To explore your legal options, call today to set up a free case evaluation.